David Williams studies how social factors affect health. Education and income affect health, that’s clear. But why, as is the case, should the most-advantaged black women in the United States—college-educated, relatively well-off—experience higher rates of infant mortality, obesity, and hypertension than the least-advantaged white women—poor, high-school dropouts? Are there unique stressors linked to race? Why should Caribbean immigrant women in the United States have better birth outcomes than U.S.-born African-American women? And why should their health advantage slowly disappear the longer the immigrants stay in the United States? Indeed, this is true of white, Hispanic, and Asian immigrant groups, too; they start off strong, but in time appear to demonstrate that the American way of life is dangerous to one’s health. Williams is himself a Caribbean immigrant. 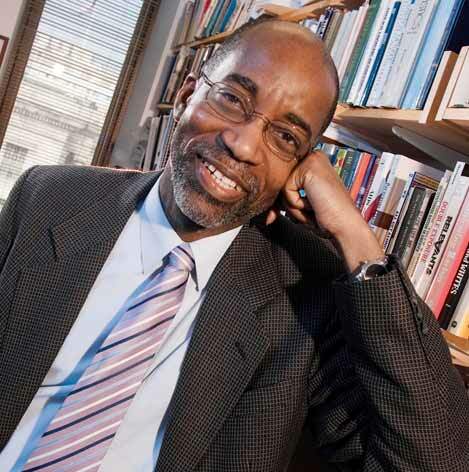 Born into working-class poverty, he grew up in St. Lucia, leaving the island for his higher education in divinity and public health at three Seventh-day Adventist institutions (including Caribbean Union College in Trinidad) before earning his Ph.D. in sociology at the University of Michigan. He taught at Yale and Michigan until coming to the Harvard School of Public Health last summer as the Norman professor of public health. He will teach in the College, too: a course on poverty, race, and health. He is married to a nurse practitioner, Opal, and they have two daughters, Delia and Alysia. Although he came to the United States in 1976, he appears healthy still, maybe partly because he runs for exercise: he is proud of having twice finished the Detroit marathon.